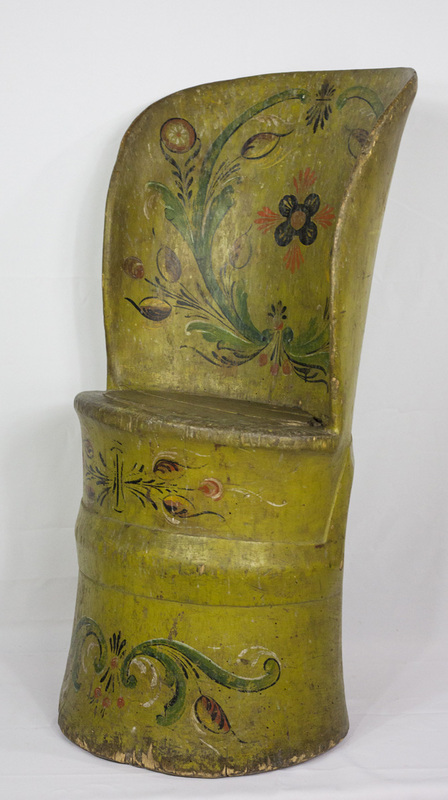 The kubbestol is a traditional Norwegian chair carved from a single section of a green log, or kubbe. 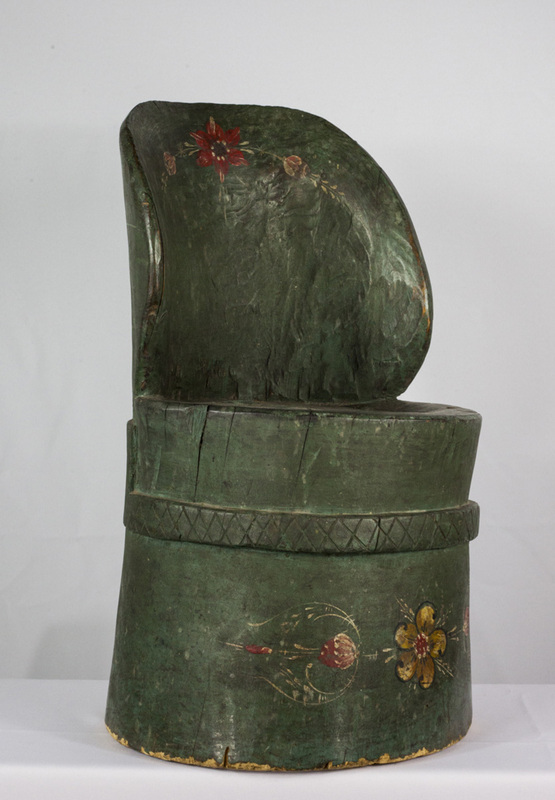 It is first hollowed out and carved to shape the chair’s back. Then, after allowing the log to cure for several months, a piece of wood is cut and fitted into the hollow to form the seat where the chair back begins. The full circumference of the log is almost always left intact, with the trunk base used as a sturdy chair seat support, in lieu of legs. The diminutive size of the smaller chair displayed here is particularly unusual. Kubbestols were traditionally set aside for the head of the household. But due to their large size and weight, they were not considered a necessity for immigration. These kubbestols were almost certainly made here in Wisconsin by recently settled immigrants.